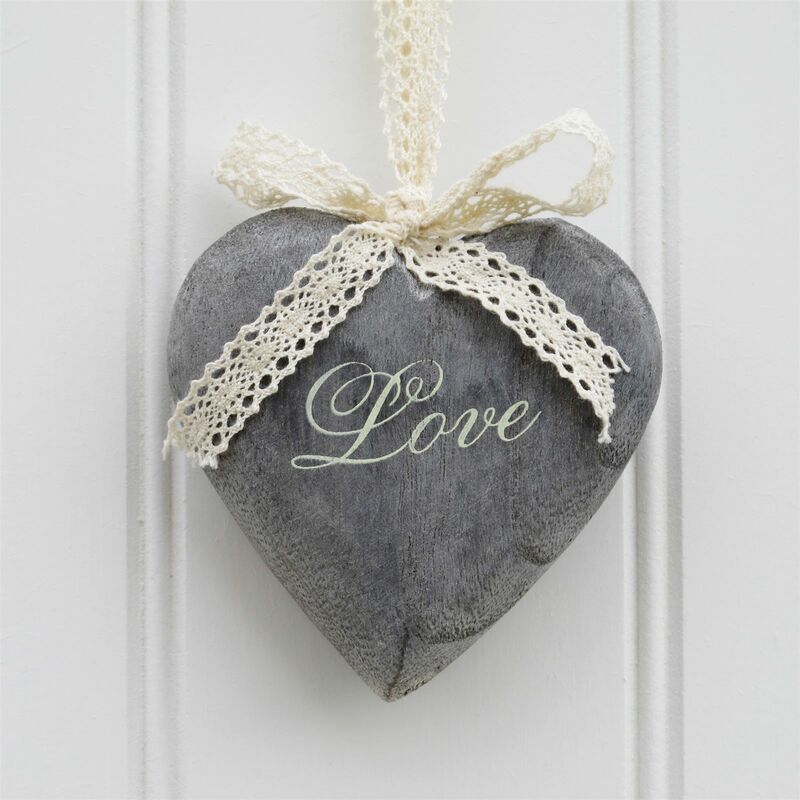 Set of 3 grey wooden hanging hearts. 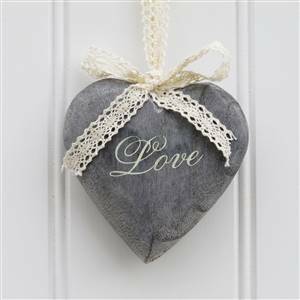 Each one has the word LOVE on the front. Hangs from a pretty cream ribbon. H 21 cm (including cord) W 10 cm approximately.